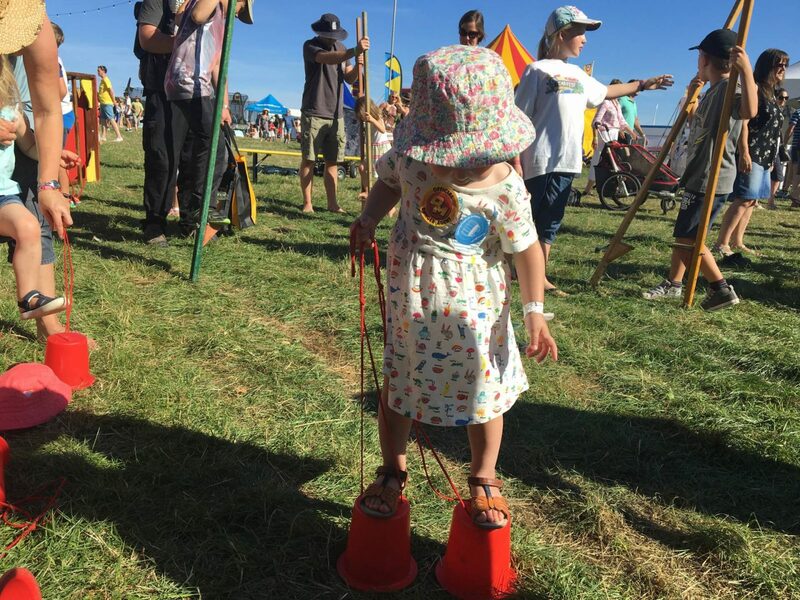 Since having children I’ve never considered taking them to a festival, it hasn’t been something on my radar as a family event. 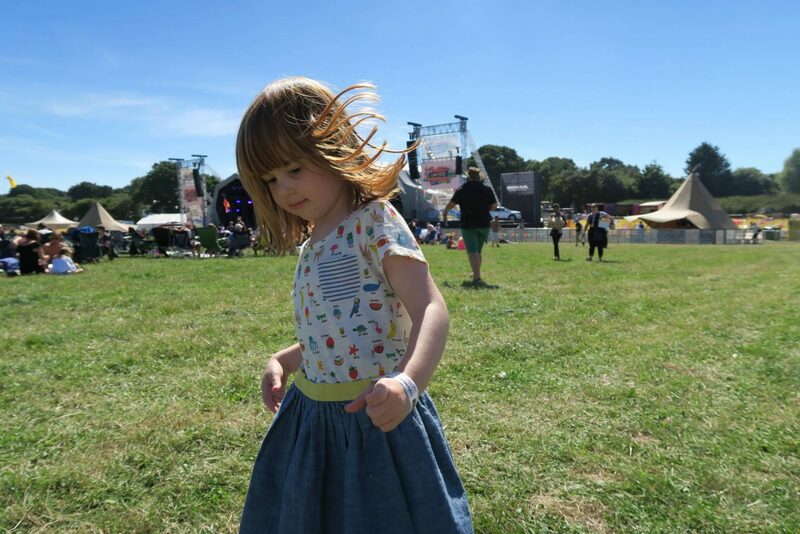 But since I started blogging, I’ve read so many blog posts about people taking their children along to some family friendly festivals and they have looked amazing. 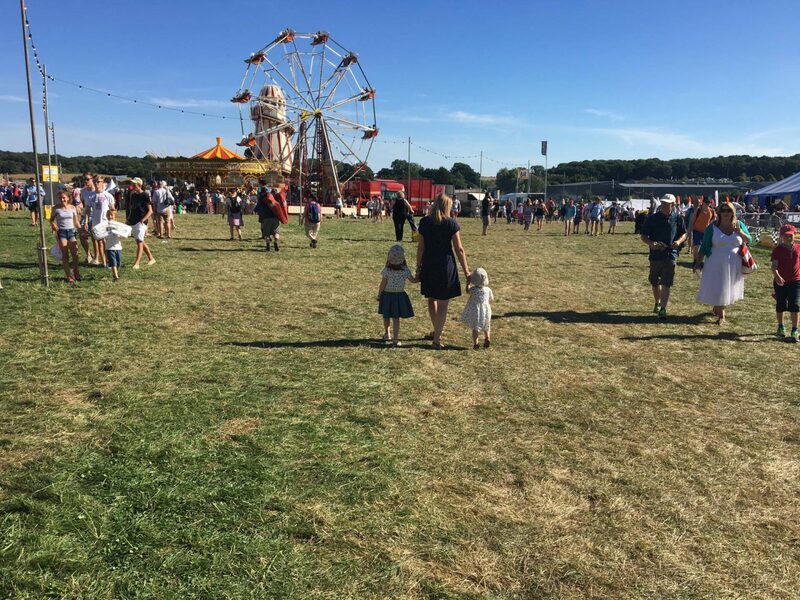 So, when Peugeot invited us to spend the day with them at CarFest I thought this would be the perfect opportunity to see if festivals are for us or not. 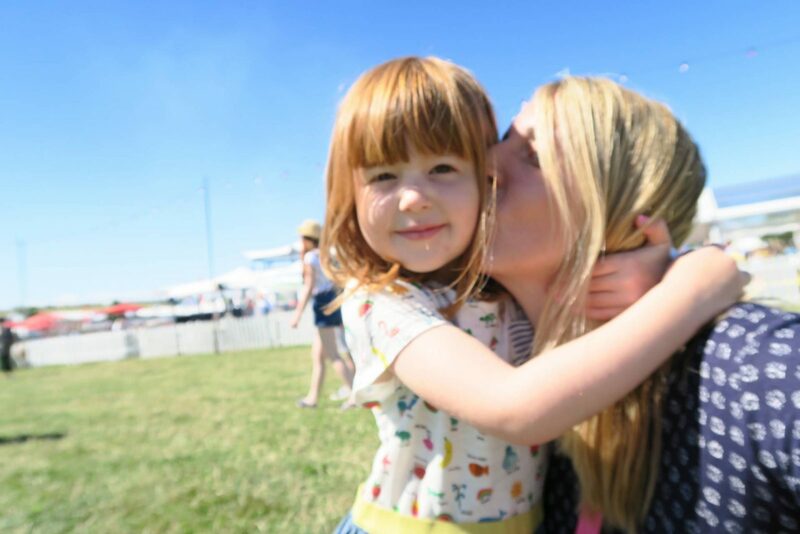 I didn’t know too much about CarFest beforehand and I definitely didn’t realise how close it was to us. I knew it was organised by Chris Evans and was linked to Children in Need, but I just thought it was all about cars. I couldn’t have been more wrong, yes there are cars racing there, but there is so much more. From 5 o’clock they have music acts performing on stage across all three nights and so much to do, we didn’t know where to start. 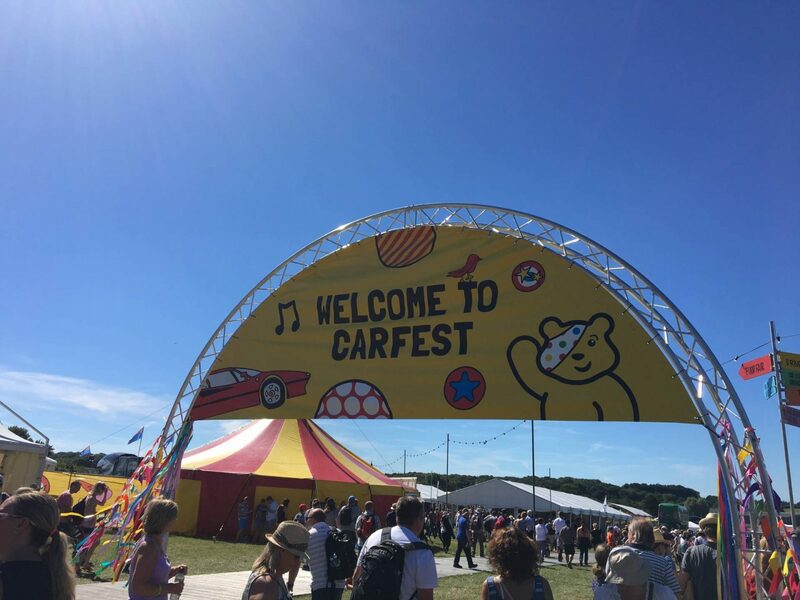 CarFest starts at midday on the Friday and finishes on Sunday evening, you can camp overnight for the weekend too and leave on the Monday morning. When we arrived it was lunchtime and we were spoilt for choice on what to eat, they had everything from a sandwich, jacket potato, fish and chips, pizza, hot dogs and lots more. I spotted the duck wrap stand and that was me sorted, it was the best duck wrap I’ve ever had! 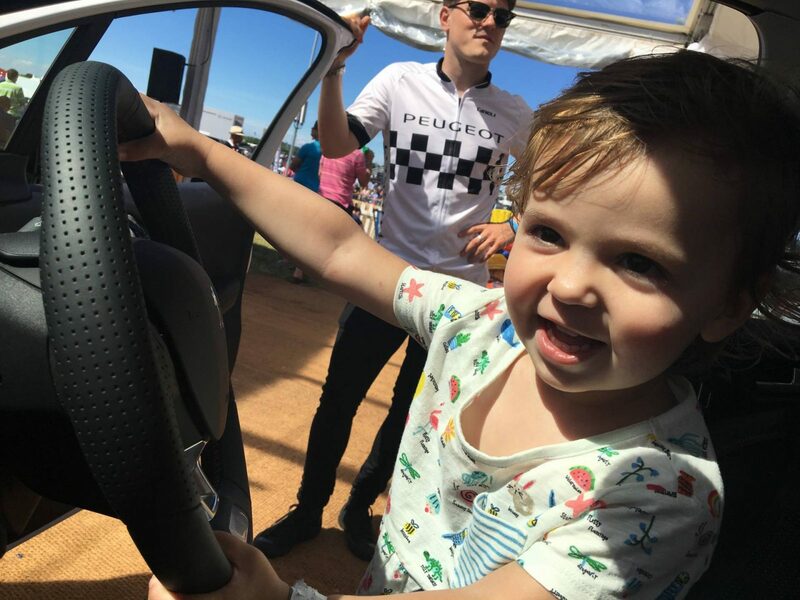 Once our tummy’s were full, we headed to the Peugeot tent and we were just in time to see some cars go past, we had front row seats. Holly had more fun actually getting into the Peugeot car, the lovely Peugeot man didn’t help encouraging her to honk the horn…!! Whilst Andy took Holly off to have a nap, Alice and I met up with the lovely Louise and her family. Our girls had a play and a dance around, which was very cute. They had music playing and whilst Alice danced, I sat and soaked up the sun and the atmosphere. I hadn’t felt so relaxed in ages. Andy arrived back after getting stuck the other side of the road where the cars race, as they had shut the crossing again ready for more cars to go down. The only option is the bridge going over the top and poor Andy had to carry the pushchair over with a sleeping Holly in it!! Once Holly was awake it was time to go and check out the rest of the festival. 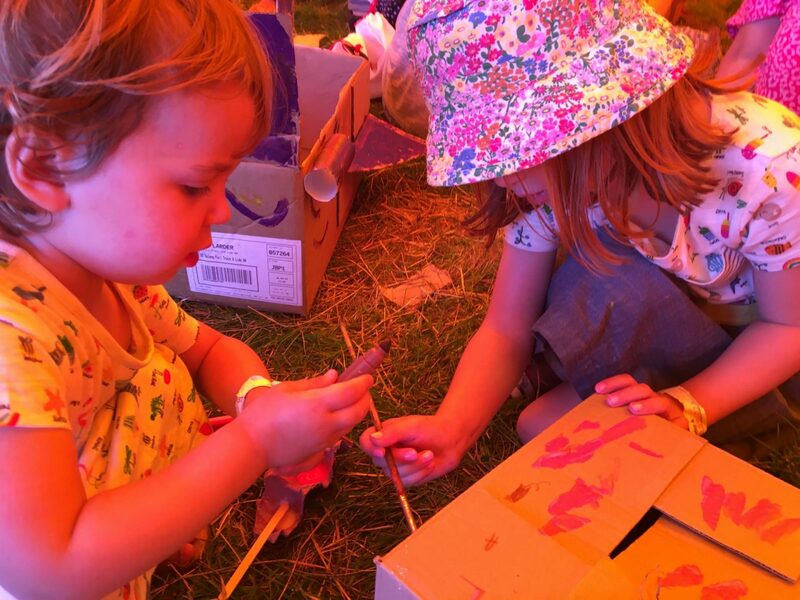 We headed to the area that had family fun tents and first we went into the Build Your Own Tent, which was full of cardboard boxes and lots of craft bits for you build whatever you fancied doing. Alice decided on a pink car and had lots of fun painting it with Holly helping too. We were in a red tent, hence why the girls look red in the photo!! Afterwards they went to the fairy tent and made a flower wand. Then they spotted the trampolines and couldn’t wait to get on, thankfully Holly was just old enough having turned two, 2 days before. 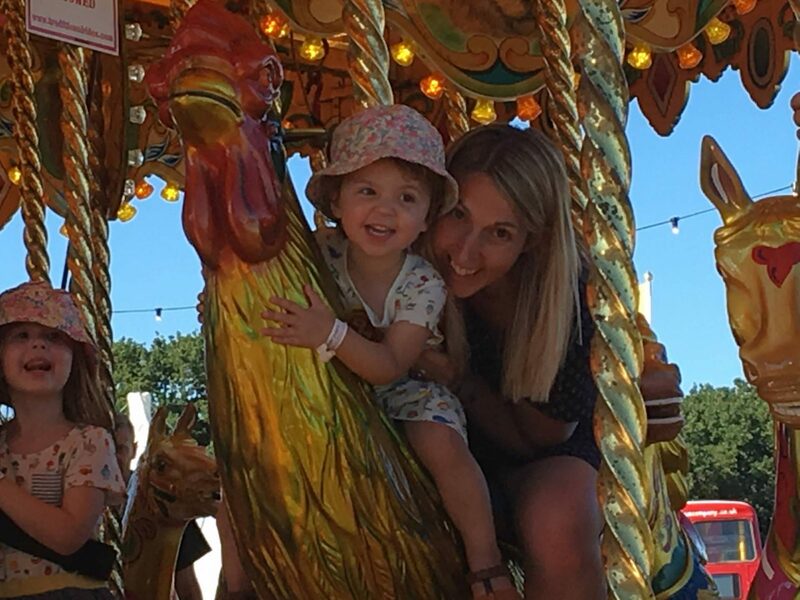 Then it was time for a go on the merry go round, which is always a favourite and of course mummy gets to have a go. 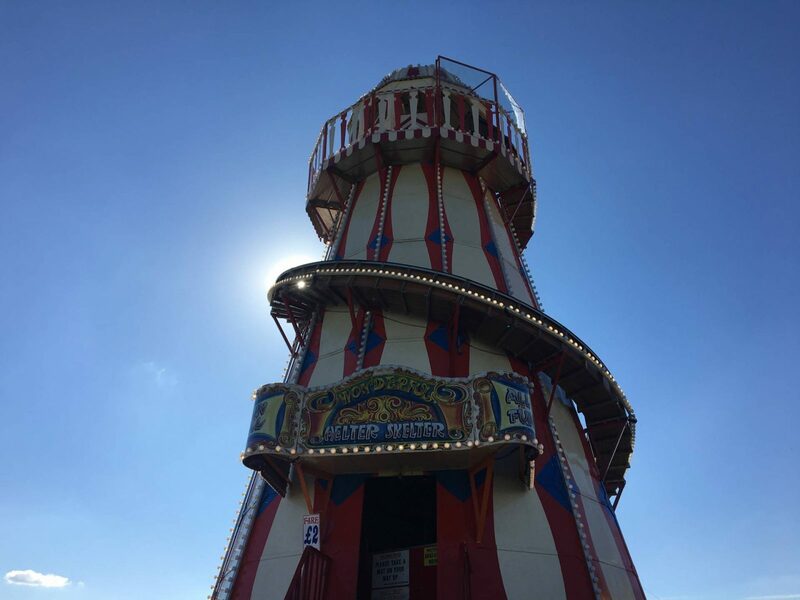 We had barely got off when Alice shouts ‘I want to go down the big slide’, by this she meant the helter skelter. We had walked passed it previously and she told me it was too big, but now her confidence was back and she was off. Andy took them up with their mats and next thing Alice is on her way down and I only just managed to catch the photo. Andy followed with Holly on his lap and her shouting ‘again daddy’, but at £5 for all them to have 1 go, it was a no!! We then spotted an area where you could try out circus skills, the girls loved walking along the rope and having ago on stilts. We then headed back over to the Peugeot tent for some dinner and to watch the bands that were starting to play on the main stage. This time I went for Old El Paso stand up tacos with smoky chicken, it was delicious and not something I would expect at a festival. But they really did have everything, we even spotted a cheese on toast stand on our walk around. As we sat eating dinner and listening to the music I thought what a lovely day we were having, the girls were enjoying it. It was a relaxed atmosphere and there was just so much to do, we didn’t get a chance to do it all. With the sun starting to set, it was time for us to take our two tired girls home. 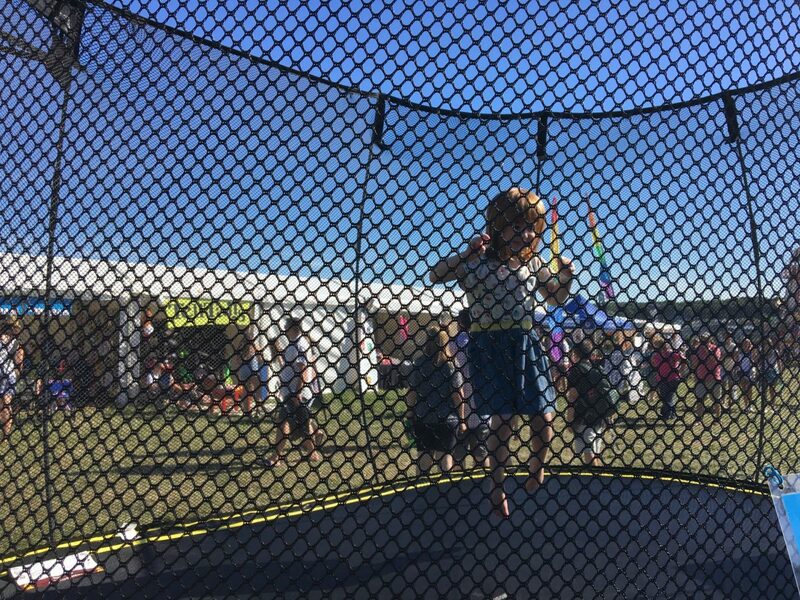 We had a brilliant time and I think we are totally sold on the family festival. Next time we will stay over and camp, which the girls will love. Thank you Peugeot for inviting us to spend the day with you, we loved it! 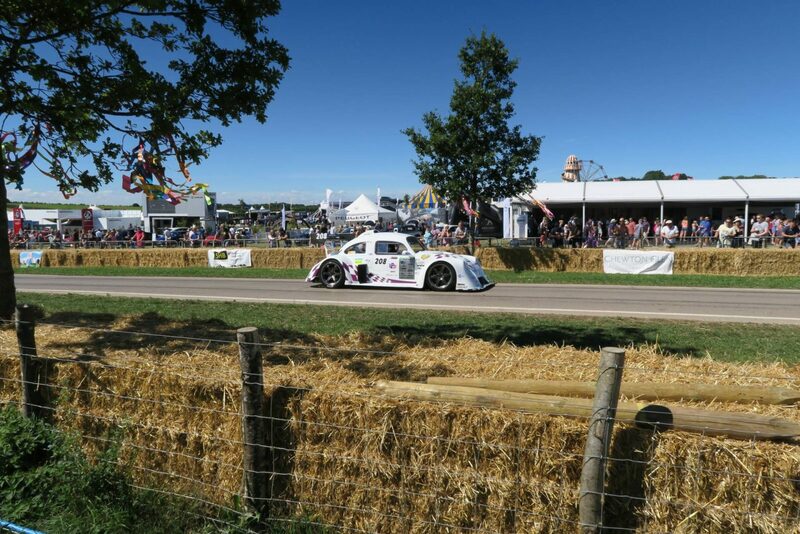 You can find out more about CarFest here. 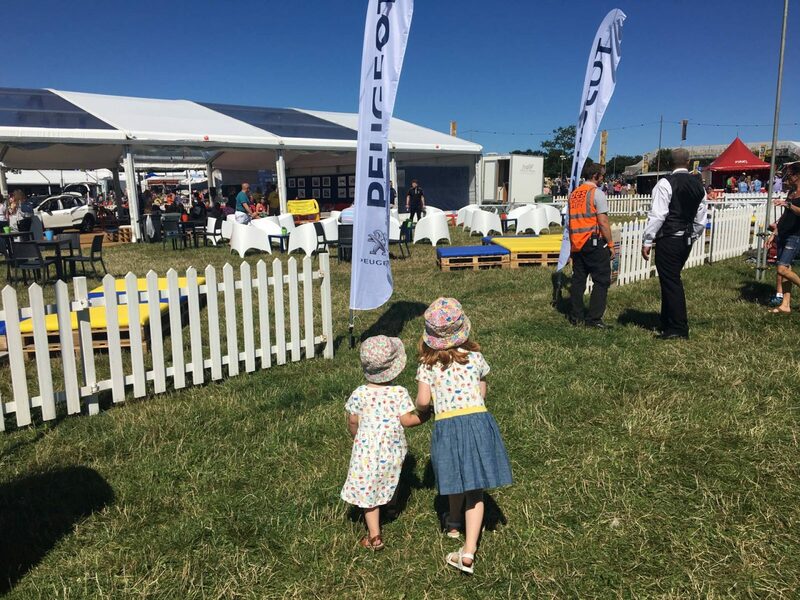 Disclosure: We were invited along as guests of Peugeot, they haven’t asked me to write about CarFest. 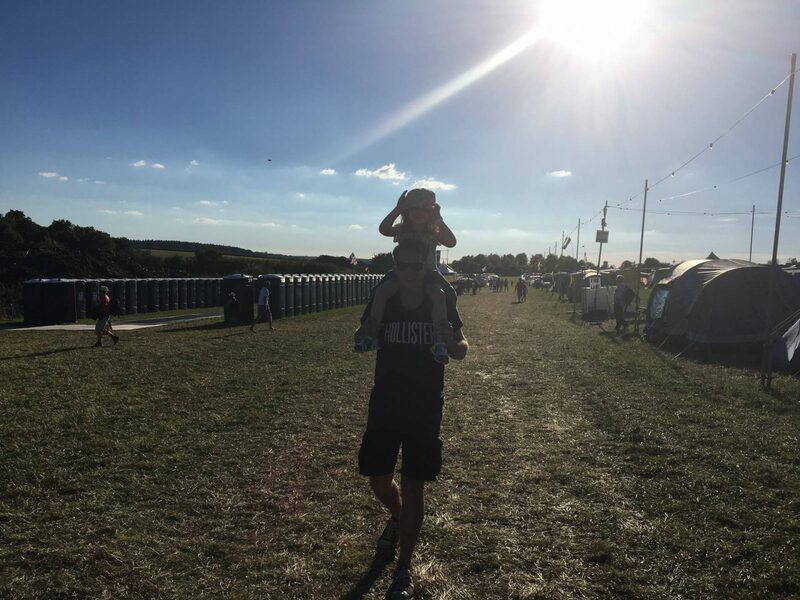 But I am sharing with you because that is what my blog is all about, capturing all our family memories and this definitely one I want to remember. Oh wow, it looks great. I also just assumed it was solely about cars. We may have to go to this in the future! Oh what a brilliant experience, I’ve always wanted to go to Carfest, it sounds like so much fun! 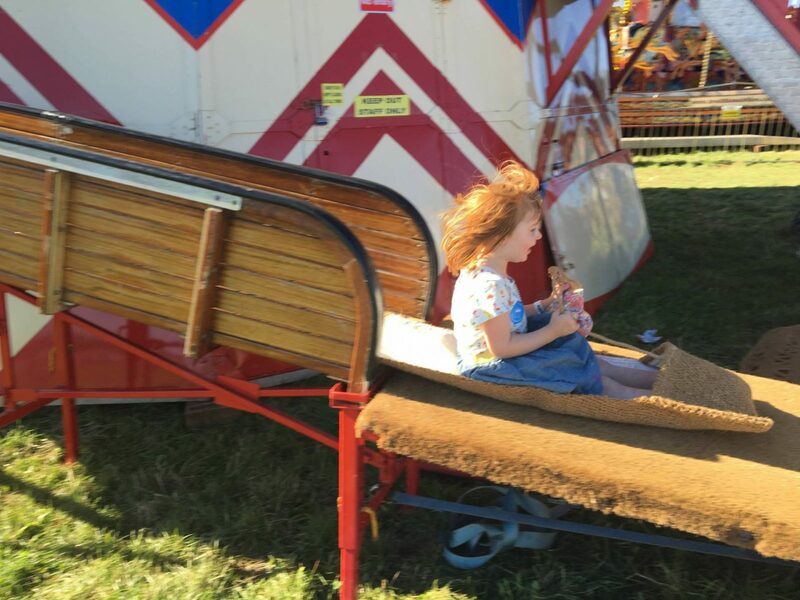 I’m glad you had such a fab time and I just love that photo of Alice coming down the helter skelter! Oh wow! what a lovely day you had and for a great cause. Sounds like a great day out, never heard of Carfest but it looks like many people would enjoy it.